…大久野島 (Ōkunoshima): the Rabbit Island! 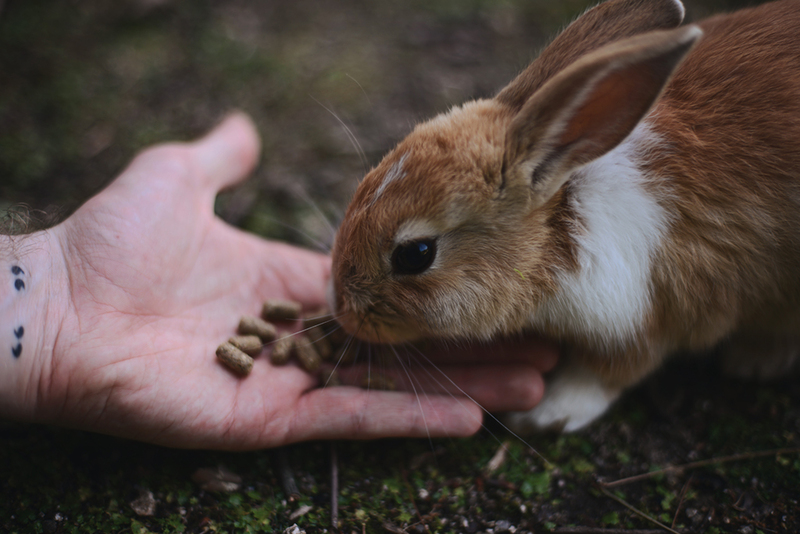 The rabbit food is only available is at the ferry port before you head to the island, so make sure to stock up before you step on the boat. Cute as the island’s inhabitants are, the history of the island is much darker. Ōkunoshima played a key role during World War II as a poison gas factory for much of the chemical warfare that was carried out in China. As a signatory on the 1925 Geneva Protocol which banned the use of chemical warfare, Japan went to great lengths to ensure the secrecy of the chemical munitions plant; even going so far as to remove records of the island from some maps. Whilst the ruins of these factories remain, visitors to the island are now greeted by a bouncing herd of bunnies, numbering in the hundreds (and possibly even thousands). The origins of these hopping inhabitants is disputed. One claim is that they’re the surviving predecessors of the test subjects freed by the workers after the war, though the official statement on the subject is that all rabbits involved with the chemical weapons project were killed when the factory was demolished. 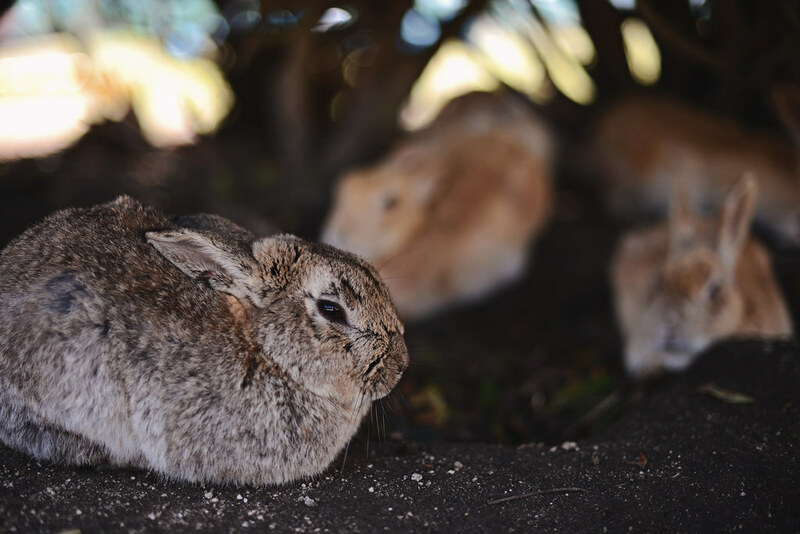 Another theory holds that they’re the prodigious offspring of eight rabbits brought to the island by schoolchildren in 1971 who lived up to the popular idiom. Whatever the case, the rabbits are perfectly accustomed to human visitors, and will approach anyone offering them their next meal. I learned about this place a week before I left, and actually rescheduled an entire leg of my trip to fit it in. Three trains and one ferry later: worth every second. Only Japan could make graffiti this innocuous and adorable. 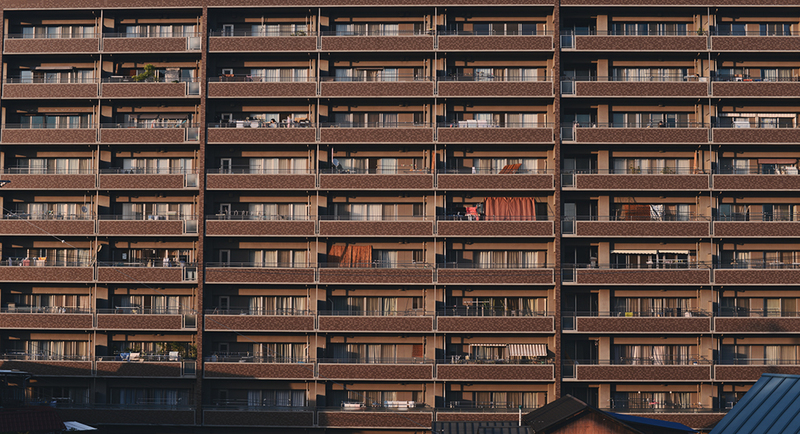 My one frustration that day was that I was stopping off in Ōkunoshima before heading up to Okayama where I’d booked my hotel for the night, and – by extension – was hauling my suitcase with me the entire way. On arrival, I took the bus to the one inhabited building on the island which was a hotel, and asked if I could leave my luggage with them in the lobby while I explored the area. They responded with a flat no, but did tell me there was a building with coin lockers opposite the hotel, which my suitcase would be too big for. Thanks? With no other option, I ended up lugging the suitcase over to the coin lockers anyway (which you can see behind me in this photo). On discovering that the building was completely derelict, however, I opted simply to stick it under one of the tables inside and cover it with broken furniture. Evidently my ad hoc camouflage worked, because it was completely undisturbed when I finally went back to collect it. And finally: one ferry and three train journeys in the opposite direction up to Okayama. My next stop was actually further south, but I figured traversing three of Japan’s four islands in one day was probably a little ambitious. With no actual plans in Okayama, however, it was straight to the hotel and to bed. Pretty much my reaction the whole time I was there, haha.